Filled up the space on your mobile phone or tablet? As long as you have working internet on both ends, you can access your home computer's hard drive from anywhere. To do this, you need to set up remote access to your computer — simpler than it sounds. A small server application needs to be installed on your home computer. LogMeIn (www.logmein.com) provides free server software for Windows and MAC OS X. Once the server is running, you simply need to log in to your account (free registration required) using a web browser on any computer or phone/tablet. You can then remotely control your home system to run programs or transfer files to and from it. Another alternative to remotely access your files is to purchase a network-connected hard drive like the Buffalo CloudStation (Rs16,000 onwards). 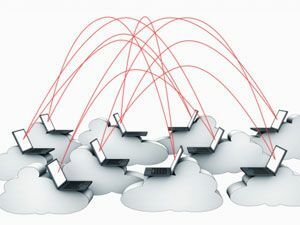 The CloudStation comes in various storage capacities and connects to your internet router/modem using Ethernet. Once you set it up (an easy wizard is provided), you can view, stream or download files from it using a web browser. If you prefer a dedicated way of accessing your content on your mobile/tablet device instead of using a web browser, there are various free apps available for the popular smartphone platforms. Like the browser method, these apps require that a server software be installed on your home PC for accessing files remotely. Tonido, a free app for iOS, Android, Windows Phone 7 and BlackBerry works great over Wi-Fi as well as 3G. Head to www.tonido.com to download the desktop server software for Windows, MAC OS X or Linux. Once you link the app to your computer at home, you could be anywhere in the world and can stream musicdirectly to your phone, access and download files from your computer and upload photos/videos taken from the phone back home. The app has a custom server address that makes setting it up super-easy. Another app, Polkast converts your computer into your personal cloud for free. The Polkast server software (www.polkast.com) lets you choose which folders to share. Plus, there is no limit on file transfers to and from the PC, which makes it great for transferring large files. Although apps like Tonido offer audio and video streaming to your remote mobile device, lack of on-the-fly transcoding (file conversion) can lead to long wait times depending on your connection. If audio streaming is your main priority, use the free Subsonic app (iOS, Android). You can get the desktop software for Windows, Mac or Linux at www.subsonic.org. It takes some time to get started since you need to first create an account and set up the folders to be shared. You also need to provide a custom name for a 'webserver' that the app on your phone/tablet connects to. Once done, you could be anywhere in the world — as long as you have a working internet connection, the app will display all the music files from your computer. You can also create playlists and it works with most audio formats. It also supports video streaming, which, needless to say, works best over a Wi-Fi connection. Dropbox can be more than just online file storage. With some nifty add-ons, you can use your Dropbox storage for multiple things. For instance, if you have your stored on Dropbox, you can access them (and stream them) using DropTunes. Visit www.droptun.es and sign in with your Dropbox account — you'll get access to all your files from within a web browser and you can play them without transferring them. You could also get the DropTunesiOS app to stream the files to your iPhone or iPad — which solves the problem of limited space on the iDevice too. With Dropbox, you can also automate easy or boring tasks like file conversions or transfers. The Dropbox Automator from Wappwolf lets you do all this and more. Head to http://wappwolf.com/dropboxautomator — you will need to grant permission to your Dropbox account (either one or all folders inside your Dropbox storage). Then you need to create an 'action' — for instance, convert to PDF. Once you place a file inside that folder (from your computer or mobile device), the Automator will instantly convert it into a PDF and store it in the same folder. There are numerous actions available for many common tasks. With faster internet connections, digital storage need not be confined to your local device. That's the idea behind cloud storage -keeping your data and multimedia files in one place and accessing them from wherever you go. Imagine a scenario where you have limited storage on your workplace computer. You could simply access all your files from your home computer, without the need to install any software on the office computer (where software installation may be disallowed or frowned upon). Your mobile device, which has limited local storage, could use your home PCs huge hard drive as a repository. Or you could use conventional cloud storage solutions like Dropbox to stream music and photos. Whatever you need done, there's a 'cloud' way to do it. Cloud storage is one of the best techniques ever, thanks for sharing this.